Leaders of the Texas Republic wanted a road to connect San Antonio and Austin with the Red River settlements to the north. In December 1839 the Congress of the Republic authorized the army to create such a road. A company of soldiers set out in the fall of 1840 and headed north. There may have been an old Indian trail that crossed the Trinity near the site of Dallas, but if so, they didn’t take it. They took a path that led them east of the present Dallas area and eventually to Fort Inglish, though they became lost and many of them perished in the cold winter and the thick wilderness along the way. The survivors went upstream to Coffee’s Station and established Fort Johnston inland from there. 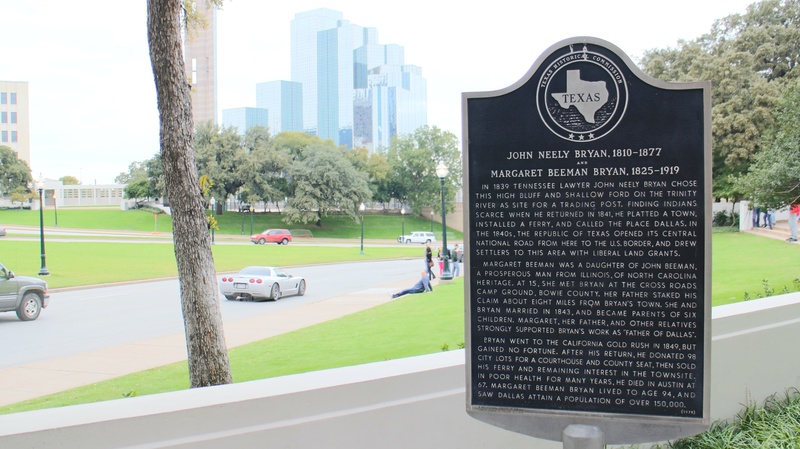 This set the stage for five events that occurred in rapid succession in the year 1841, events that were fundamental for the settlement of the Dallas area. The first was in April of that year when a company of soldiers from Fort Johnston returned to Austin blazing a new road almost directly south from Coffee’s Station on the Red River to a ford on the Trinity River in the vicinity of Cedar Springs Branch, now part of the inner city of Dallas. Their road brilliantly followed the high ground between the Elm Fork and the East Fork of the Trinity. It was called the Military Road, but after Coffee’s Station came to be known as Preston, it was called the Preston Road. In the next month, a group of soldiers and volunteers led by General Edward H. Tarrant rendezvoused at Fort Johnston and then traveled south to scout out a village of Caddo, Cherokee, Tonkawa, and other native people along Village Creek near its confluence with the West Fork of the Trinity. The creek separates Arlington and Fort Worth today. On May 24, Tarrant’s soldiers approached the village and, according to the Army’s official reports, native peoples fired on them. In the ensuing battle, one volunteer soldier, a Methodist preacher and lawyer named John B. Denton, was killed. At least a dozen native people were killed and their village of grass houses was burned. The battle of Village Creek raised fears about the presence of native peoples in the area, though they did not occupy the village again. Tarrant County, west of Dallas, would be named for General Tarrant, and Denton County, northwest of Dallas, would be named for John B. Denton. 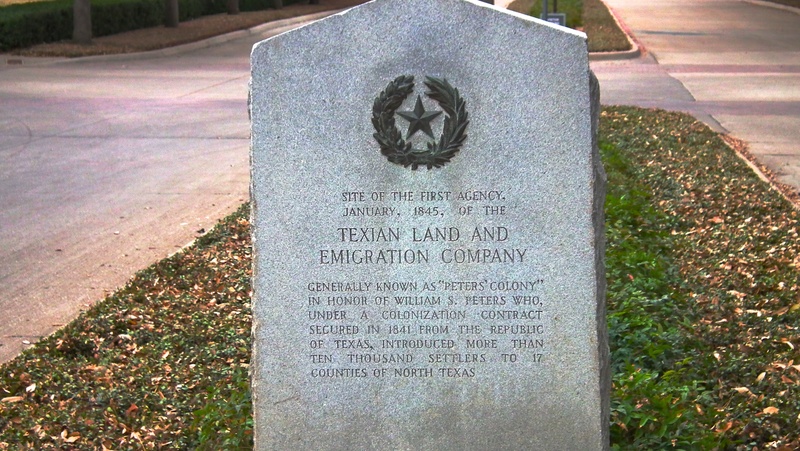 A third event that occurred in 1841 was the establishment of a corporation to administer land grants in northern Texas. This was effectively an empresario arrangement made between the Republic of Texas and William S. Peters, a native of England who secured capital funding for his corporation both in the United Kingdom and in the United States. The area his corporation administered, which included the area of several north Texas counties today, came to be known as the Peters Colony. The first contract authorizing the Peters Colony was signed in Austin in August 1841. A fourth event in 1841 was the construction of a fort on the West Fork of the Trinity between the present locations of Dallas and Ft. Worth, about where Euless is today. Following the Battle of Village Creek, General Tarrant ordered the building of the fort, which was constructed under Major Jonathan Bird in September and October. It was known as Bird’s Fort and offered settlers just a modicum of protection, maybe little more than the appearance of protection, on the prairies. The fort attracted some settlers, but it ceased to function as a fort in the next year. The Military Road, the Peters Colony corporation, and Bird’s Fort extended fledgling infrastructures that would enable settlers to come to the area. The fifth cardinal event of 1841 was the settlement of John Neely Bryan on the bluff overlooking the ford of the Trinity. A native of Tennessee born in 1810, Bryan had become a pioneer settler in Van Buren, Arkansas, in the early 1830s. In 1839 he came to Texas, stayed at Coffee’s station for a while, came down and scouted the area around the forks of the Trinity, then went back to Van Buren. He sold his property there and returned to Texas in 1841. He settled on the bluff over the ford where Dealey Plaza is today in November 1841. The river was much closer to the bluff in his time; it was later re-routed away from the city center. Bryan was apparently unaware of the Peters Colony provisions and staked his land claim on his own, though he later regularized it. He ran a ferry across the Trinity and eventually became postmaster of the little settlement. He was quoted as saying he named it Dallas for a friend of his. Several candidates named Dallas have been suggested, but the identity of the friend for whom he named the village remains unknown. 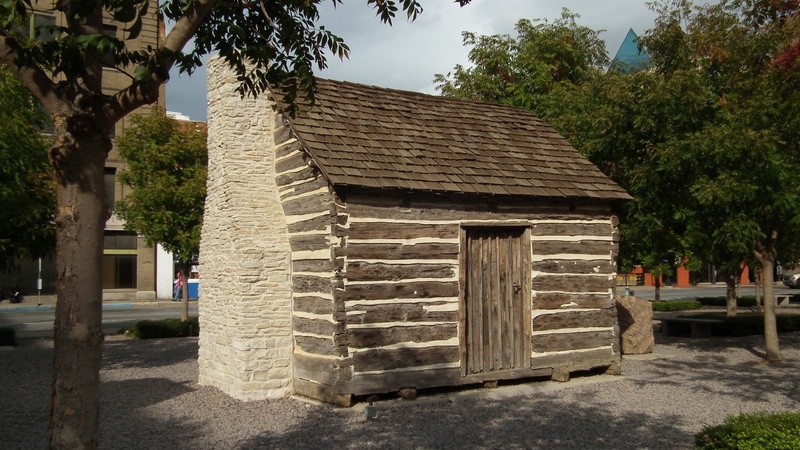 In 1842, when Bird’s Fort was disbanded, some of the settlers from the fort moved to Bryan’s Dallas settlement.